I graduated Deaconess Hospital School of nursing in 1977. Married my High School Sweetheart Erwin in 1978. I have been working as a nurse. I love riding my Harley. 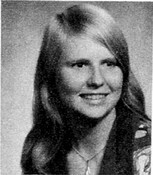 Denise Zahn Wuehr has a birthday today. Denise Zahn Wuehr updated profile. View.